Thank you for visiting Von Alten Zedernwald German Shepherds! We are a small hobby farm located in the hometown community of Greenbrier, Arkansas. We are a family of six that enjoys hiking, camping and the great outdoors. We spend the majority of our time exploring the Natural State! You may even run into us with a few of our lovely dogs on the trails of Mt. Petit Jean . 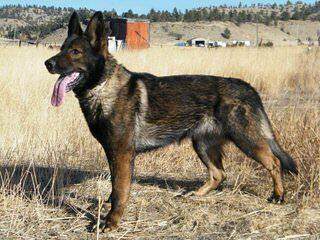 We raise beautiful West German Shepherds! Since the early 1990’s we have raised happy healthy puppies. Our dogs are companions first and very much part of our family! Since a large breeding program has never been our agenda. we have 3-4 litters a year. Our dogs have been carefully selected for temperament,health & Top European bloodlines..
Our Puppies are raised inside our home with constant love and interaction. We believe in raising puppies to be confident,loyal family companions with excellent structure,sound minds and strong intelligence. Our German Shepherds come from the top import show/working bloodlines in the U.S.
kindly note that i’m aiming to open a pets shop and i need to buy some puppies how could you help?